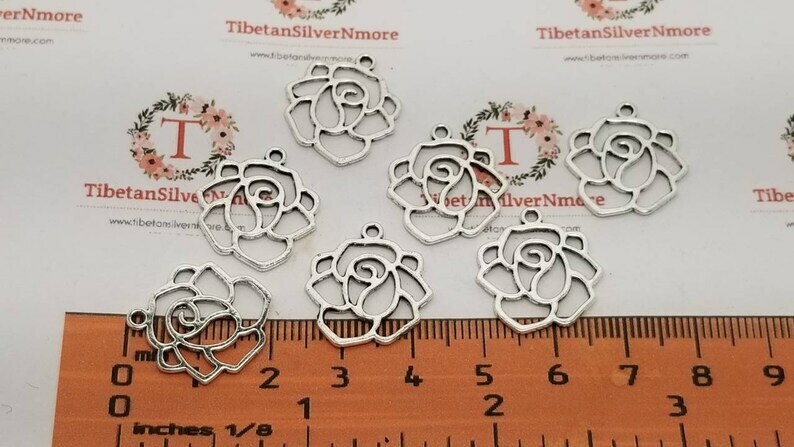 20 pcs per pack 21x18mm cutout Rose Flower charm Antique Silver Finish Lead free Pewter. Great Rose charm hanging on your bracelet or to add to your designs. So happy with my order! Everything was delivered in good time and the products are even better than I expected! Will be ordering again in the future. Really nice beads and store. I see me ordering with them quite often for their wonderful selection of beads and charms. These apples are perfectly awesome! They have a great weight and are wonderful to work with. 18 pcs per pack 14mm one side Softball Charm Antique Silver, Copper or Bronze Lead free Pewter.